"Music imprints itself in the brain deeper than any other human experience. Music brings back the feeling of life when nothing else can." -Dr. Oliver Sacks, famously portrayed by Robin Williams in the film Awakenings. Bob Horan’s musical career began at age 3, on a subway platform in Manhattan when he belted out on a toy bugle a perfect rendition of Anchors Away for two drunken sailors. He took up guitar in high school and found he had a knack for it. Influenced in the ‘50s by Elvis Presley, Buddy Holly and then the Kingston Trio, he started hanging around folk clubs in Greenwich Village in the early ‘60’s. The Village was a hotbed of social consciousness and young musicians perfecting their craft– Judy Collins, Tom Paxton, Jack Elliot, Dave Van Ronk, Arlo Guthrie, John Denver, the Lovin Spoonful, Jose Feliciano and, of course, Bob Dylan. 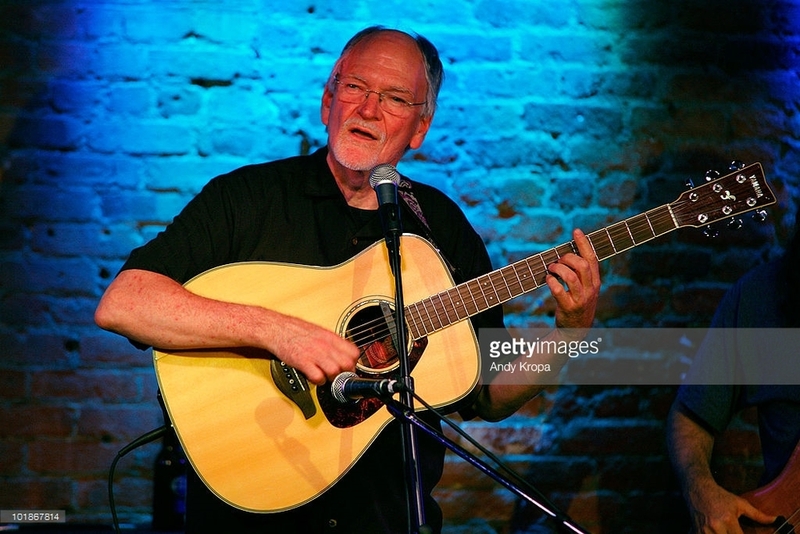 Horan became part of the scene, playing in Washington Square Park for free on Sunday afternoons, and at folk clubs like Gerde’s Folk City as the ‘60s culture flourished around him. By 1966, Horan was playing regular gigs at The Back Fence, in the hub of Greenwich Village activity. His musical odyssey took Horan from folk music to rock ‘n’ roll as the psychedelic era was ushered in. He played colleges, hotels and bars, and “greater and lesser cruise ships” in the Caribbean throughout the ‘70s. Then in the ‘80s, he married his wife Peggy, had two children, Colleen and Megan, and settled again in lower Manhattan where he continued to play regularly at popular clubs in Greenwich Village until the mid ‘90s. Meantime, Horan discovered another audience for his music that gave him immense personal satisfaction: he began playing for the elderly and infirmed in nursing homes and rehabilitation centers throughout New York City. Trading the bar scene for the pristine environment of health care, he tapped into the healing power of his magical voice. “These are people who were independent and now have to be dependent,” said Horan. “They do it with great courage. I feel like I give them a song and a smile and maybe a bit of conversation. Some of them just need someone to talk to, somebody to listen to them and to wait for an answer when asking, How are you today” he adds. Says one nursing home Activities Director, “Mr. Horan’s knowledge of the universal language of music entices all. His large repertoire covers many generations of music. He reaches out to every resident no matter where they may be seated as if he’s singing directly to each one and and makes our residents feel like he is family.” "Joy Through Art, a not for profit organization, enables me to develop ongoing relationships so that I can focus on the needs of individuals on a regular basis". Horan has since expanded his horizons further and now also works with an organization called Music That Heals, which provides musical entertainment for sick and abused children. "In my work, it is important to look at a resident as a person, not as a patient. No one needs to remind them that their bodies are older, they know that when they wake up in the morning and by all the little things they used to do easily in their youth. Instead of patients, they want to feel like vibrant women and men. Music raises all our spirits - this is where I come in. With Alzheimer's and Dementia patients, music memory is the last memory to go. Music underscores the events of their lives. I remember a lady who seldom spoke, except once a week when I would start singing 'Let me Call You Sweetheart,' and she would finish it for me, and then go back into silence. Music makes highly cognizant, but physically impaired residents with Parkinson's disease discover energy and flexibility they forgot they had. There are no 'happy' or 'sad' songs - only ones that put them in touch with their feelings and memories. My music ranges from songs they grew up with, to songs and stories of my own that relate to their lives. Some just want to talk and have someone listen. I try to tell them that their loved ones are working, or caring for other family, and will visit when they can - but time in a bed passes slower then it does for us on the outside. It's also important to know that they sometimes wish to be left alone. Families need to be reassured that institutional care in these cases is compassionate and humane." "Joy Through Art enables me to develop ongoing relationships so that I can focus on the needs of individuals on a regular basis. However, I inevitably show up at a facility to discover that an old friend has, as they say in healthcare, 'gone home.' The business we are in makes this inevitable. I have observed some health care providers becoming grief-stricken at the passing of a resident. It is important to cultivate letting go. It is imperative to practice what I call 'detached compassion'."